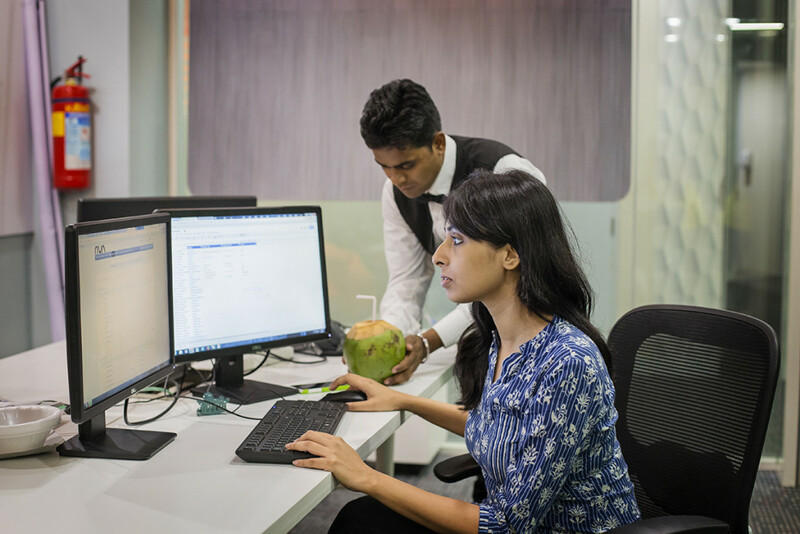 Organization especially startups are now moving towards reflecting their modern beliefs and flexibility towards employees through their work culture. 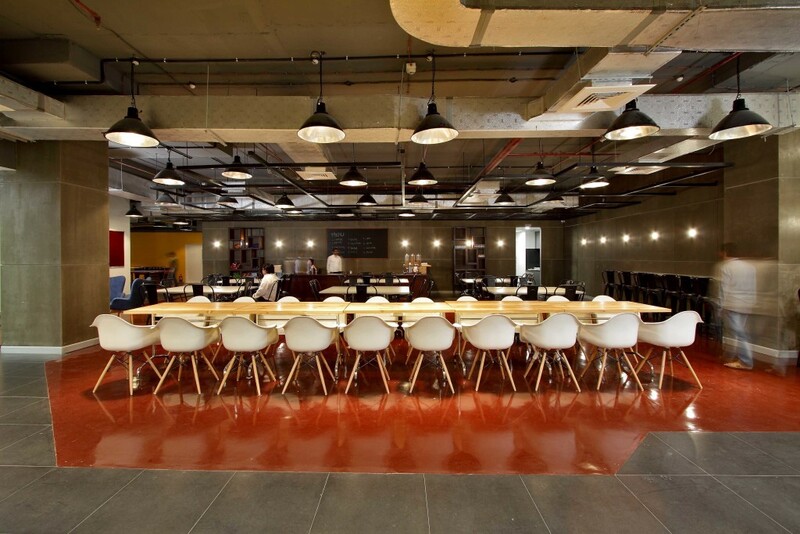 The emphasis is on creating a cool working environment that enables the employees to feel positive and more productive towards their work. 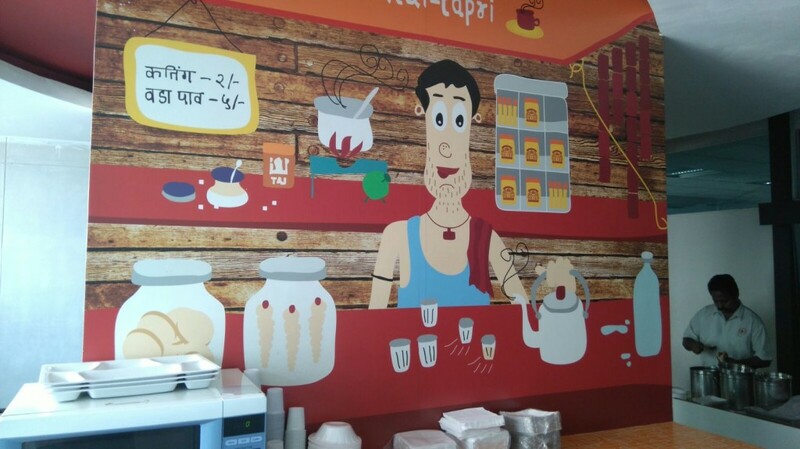 Directi, owner of technology and web products companies such as Ringo, Flock, Zeta, Radix and Media.net and previously BigRock, Logicboxes and ResellerClub, Skenzo, started by Bhavin Thurakhia in 1998 is one such company. 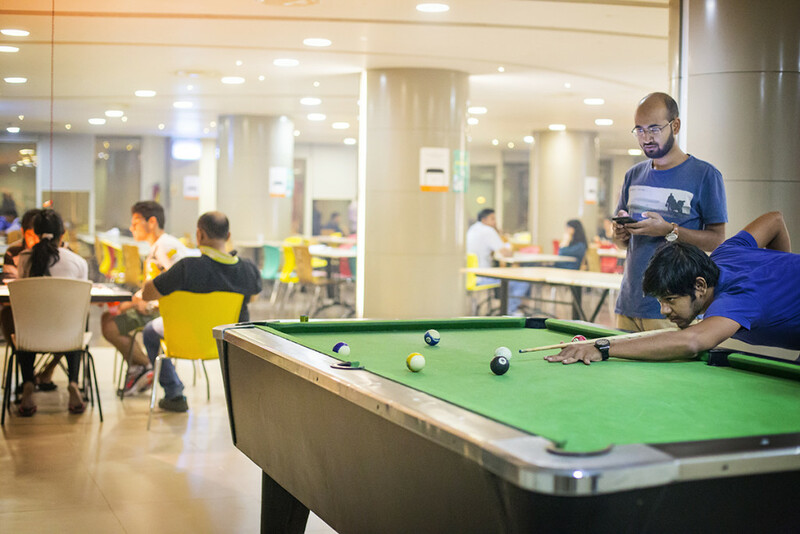 It may be almost 20 years old, but the company retains a startup culture that on one hand is all things innovative and cool, but like the successful and progressive company it is, boasts of employee perks and work culture that can rival the likes of Google and Facebook. For starters, every new employee at Directi is made to feel special with a big welcome kit and a complimentary Kindle with a free Amazon account. Directi is also known for sending heartwarming letters to the parents of its campus recruits. 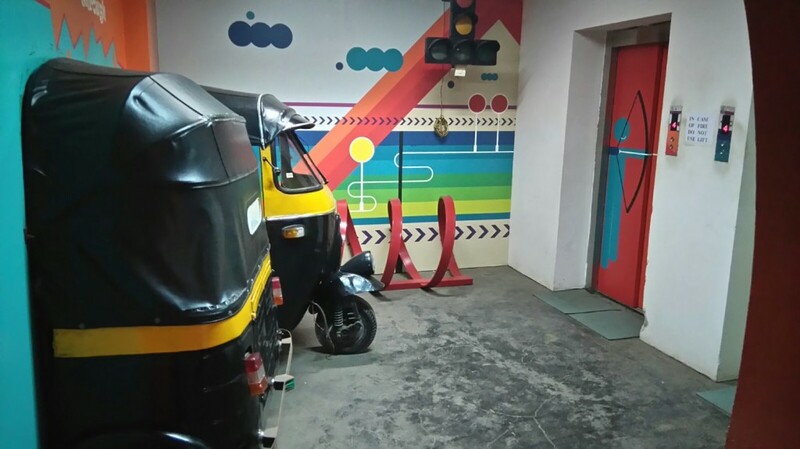 When it comes to its office, Directi has pulled out all stops to make the office a fun, relaxing, and seriously indulgent place that feels like home. 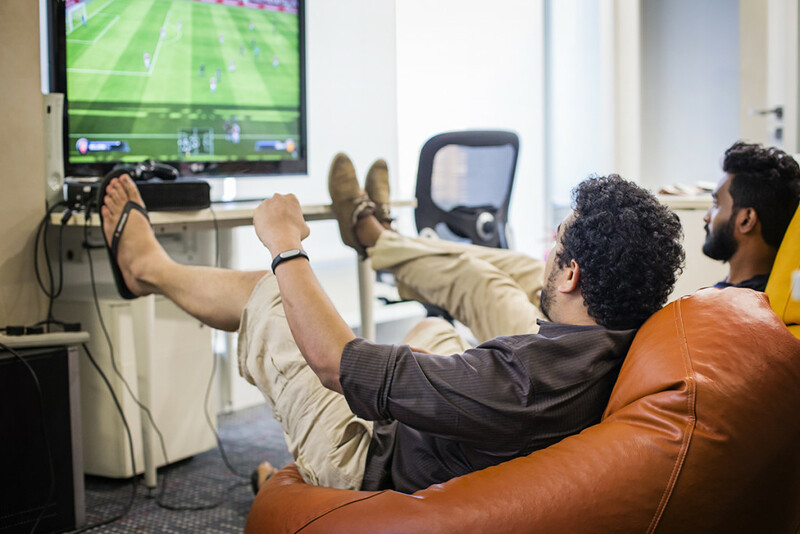 Below pointers are a testament into the company’s cool work culture. 1. Some fun props to mark the entrance of a great office inside. These autos are a part of the decor, and are flanked by other transport props like buses and carts. 2. The employees are free to stick with a chair or bring in a bean bag or whatever they find comfortable at their desks. 3. The company takes leisure time and breaks very seriously! 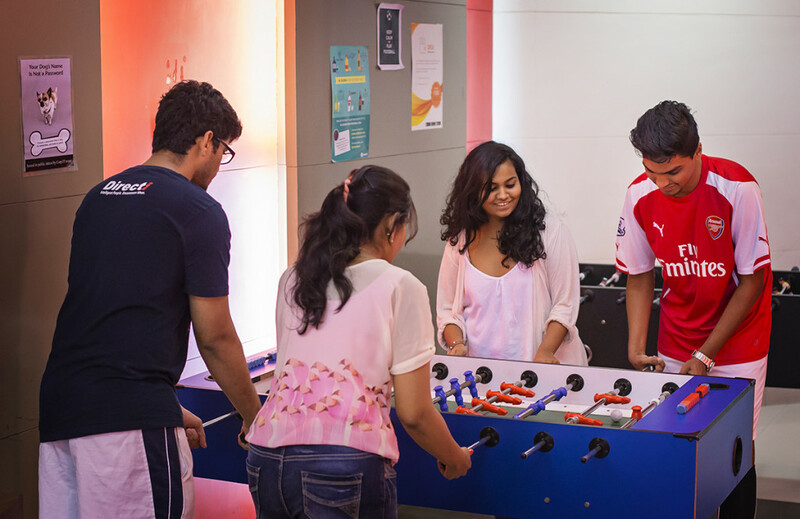 It’s a common sight at Directi to have people playing games on the Xbox, foosball, table tennis or carrom. 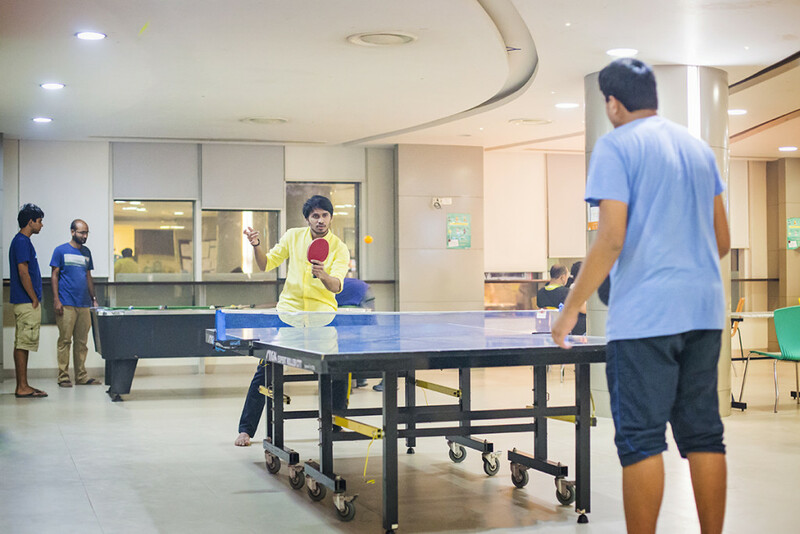 There are also inter company competitions that Directi employees regularly participate in. 4. 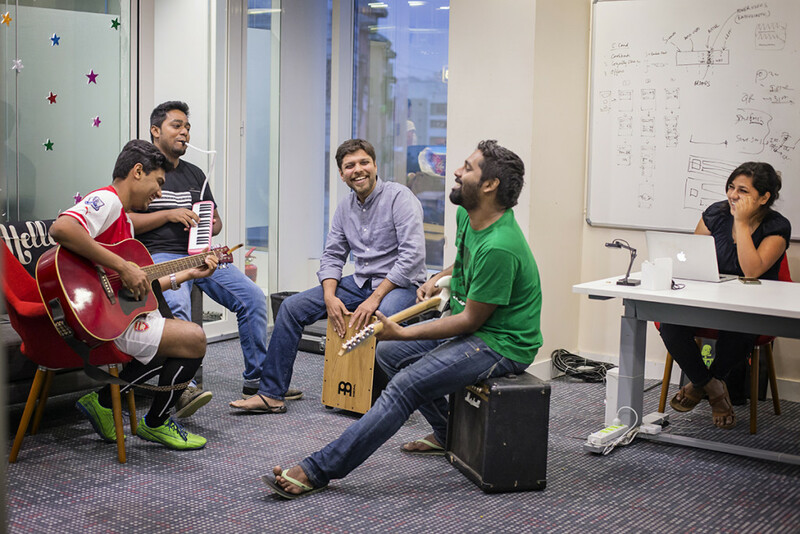 The company has invested into creation of an inspiring and open area for conducting jamming sessions for the musically inclined and employees can play guitars, keyboards, cajons. Other recreational activities include free dance classes. 5. Women employees can get their kids to office. 6. Friday Night chill sessions and Thank God It’s Friday (TGIF) meetings every Friday with beers and breezers are a norm for Directi-ians. Other than that, there are fun, snack corners on each floor. 7. What’s more? Just in case you’re too busy or lazy to fetch those snacks, there’s an in-house butler to get them to you. The whole company communicates on Flock, a Directi brand and a chat application for enterprises. The butlers too are by default available on Flock. There are separate chat windows on Flock for butlers of each floor. Depending upon which floor you are at, you may message them and they will come back with your food.